The United States is considering sending more lethal weaponry to Kyiv to build up its naval and air defenses, Washington’s special envoy for Ukraine said, as concerns mount that Russia may be stepping up operations in coastal waters. 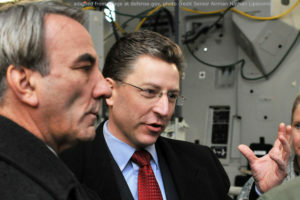 Ukraine’s lack of robust naval and air-defense capabilities is a weakness Volker said Washington looks set on addressing. “I think that’s going to be the focus as we develop the next steps in our defense cooperation,” he added. In August, monitors from the Organization for Security and Cooperation in Europe documented — using drone footage — convoys of military trucks crossing to and from Ukraine and Russia on a dirt road under the cover of darkness. Earlier this month, the monitors said another convoy had been spotted in the area. Volker also criticized Kyiv, which he said was not doing enough to reach out to Ukrainians living in separatist-held territories. He said Poroshenko’s government has also failed to develop a reintegration plan for when the conflict does end. “It’s a shame because those people [living in separatist-held areas] have gone through a lot. It causes them to be very sour on the government in Kyiv,” he added. He highlighted the cases of elderly people, “people with the least mobility,” and said Kyiv should work with the Red Cross to help get government pensions to those people. Volker’s appointment, in July 2017, came amid concern that U.S. President Donald Trump was looking to soften Washington’s position on the Ukraine conflict, and Russia’s role in it. 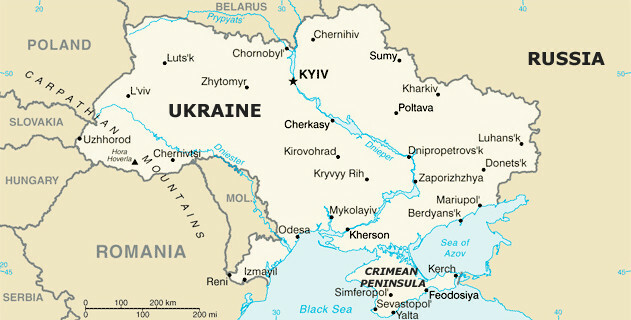 However, the Trump administration has all but continued U.S. backing for Ukraine, a policy set in place by his predecessor, Barack Obama, after Russia’s annexation of Crimea in March 2014. “It’s true that we haven’t achieved anything on the ground and we haven’t gotten Russia to really resolve the conflict,” Volker said. “So we have to keep that under advisement. “On the other hand, what we’ve done over the last year has been very important,” he said. “We’ve created a policy framework for the United States; we’ve coordinated that with our allies, specifically France and Germany; we’ve given clear support for Ukraine and restoring its sovereignty and territorial integrity; we’ve clarified Russia’s responsibility here,” he said. “The way I read what the president is doing, [he] is trying to keep a door open for Putin to be able to climb down, negotiate some kind of agreement, see if we can reduce the risk of conflict, see if we can actually create peace in Ukraine,” he said. “At the same time, the policy has been to continue to layer on additional steps of pushback on Russia and support for Ukraine as a way to induce Russia to negotiate,” he said.